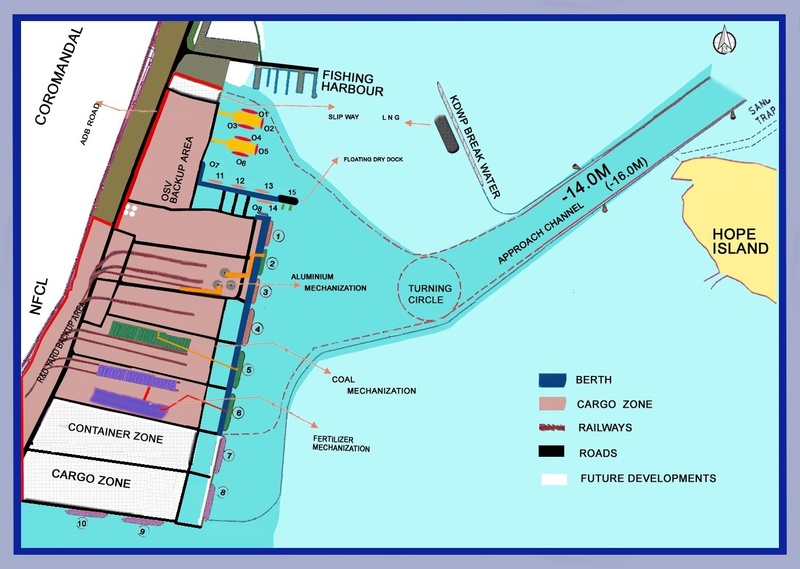 Kakinada Deep Water Port was commissioned by the Government of AP in November 1997 with a quay length of 610 Meters. The Kakinada Seaports took over operations when the port was privatized in 1999. Ten years later, the port was expanded to 2,500 meters of quay length for multi-product handling and stand-alone facility for off-shore supplies for deep sea exploration. At present the Port is fully geared up to handle 20 Million tons per annum with complete infrastructure in place.